Even weeks later, the overwhelming impressions of the Intertextile Shanghai Apparel Fabrics remain as clear as day. The 20th anniversary edition of the worlds largest fabrics fair at the end of October 2014 was blessed with a 3 percent growth, making it the biggest event of all time. The spring fair is poised to take place in March, opening its doors for the first time at the National Exhibition and Convention Center in Shanghai. Both visitors and exhibitors were deeply impressed with the anniversary event and the stimulating supporting programme. textile network likewise saw it as a milestone show and was delighted to be presented with the special “Media Contribution Award” on the first evening of the fair (cf. issue 11-12 2014). For their part, the organisers were pleased to see the hustle and bustle in the halls of the Shanghai New International Expo Centre, where no fewer than 3,844 exhibitors from 30 countries and regions presented their innovations to 71,000 visitors from 93 nations and regions of the world. The autumn fair was, in fact, the last Intertextile Shanghai Apparel Fabrics to be held at this venue. The spring event from 18 to 20 March 2015 will already be staged at the nearby National Exhibition and Convention Center. “It was very pleasing to set new records this year, proving the fair&#146;s continued importance to the global industry given the sluggish economy at the moment,” stated Wendy Wen, Senior General Manager of fair organiser Messe Frankfurt (HK) Ltd. In addition, the exhibitors praised the high number and quality of buyers from big European and American brands. Similarly, the buyers remarked upon the increasing quality of domestic exhibitors, as well as the large range of premium suppliers from Europe and Asia. By contrast, Beppe Pisani, President of Serikkos, Italy reported: “Suppliers of classical menswear are currently struggling on the Chinese market. Three years ago, 70 percent of the exhibitors at Milano Unica&#146;s pavilion focused on menswear. Today, this figure has dwindled to 40 percent.” The anti-corruption campaign in China is seen as a reason for this decline, as it is now almost frowned upon to wear high-quality clothing. Many other exhibitors, both from Asia and Europe, were optimistic that the apparel fabrics market in China and throughout Asia still holds a lot of potential over the next few years. 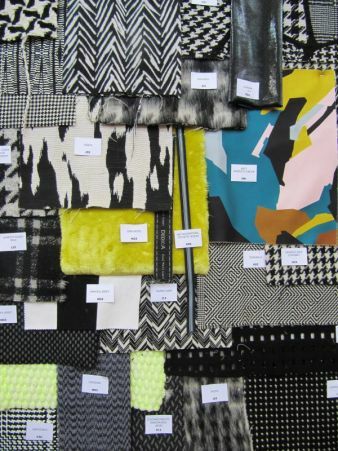 In addition to the 15 halls full of fabrics and accessories, the fringe programme also provided participants with a wide range of design and trend ideas, as well as the latest market news and industry technologies. This year&#146;s expanded programme included five international and domestic trend forums based on “Food &Sensation”, two fabric design competitions, more than 35 seminars, a round table meeting on the future of the industry in the region (see box), and the debut GOTS Forum. 2015 will see the fair continue to evolve. 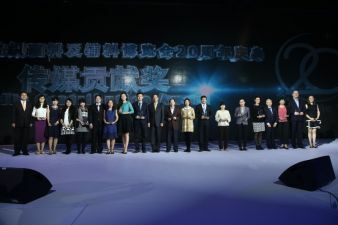 The 23rd China International Fashion Fair 2015, also known as CHIC, will be held concurrently with the spring edition of Intertextile Shanghai Apparel Fabrics from 18 to 20 March 2015. The next autumn edition will be staged from 13 to 15 October 2015. Both fairs will take place at the new venue, the National Exhibition and Convention Center (Shanghai), and are co-organised by Messe Frankfurt (HK) Ltd in collaboration with the Sub-Council of Textile Industry (CCPIT), and the China Textile Information Centre.